I’m delighted to share this story from the clever and insightful SFC Keith Hummel, a former student and current friend. I make it a point to avoid social interactions while in uniform as they always make me uncomfortable. Never knowing exactly what to say, I default to my standby reply “Thank you for your support” as I make an ever faster dash for my vehicle. To be sure, I appreciate the intent; but, of many reasons, it feels pretentious to accept praise for being one of the millions of first responders and civil servants who volunteer to serve. So, when I stopped in Arkansas – roughly halfway on my journey from Texas to Ohio – dressed in civilian attire and focused only on myself, I felt completely at ease as I headed to my Jeep with my coffee in hand. Here’s to regulation haircuts and to finding others who are equally awkward. 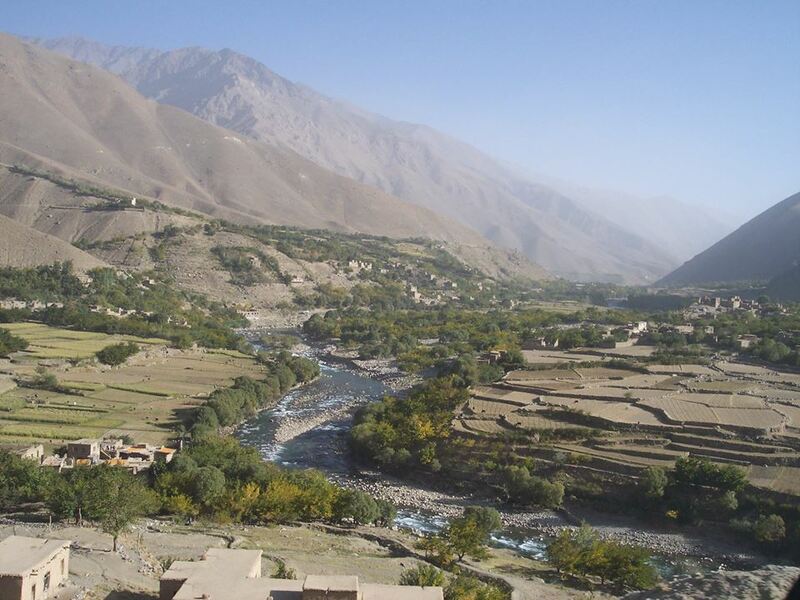 Panjshir Valley, Afghanistan, September 2004. Photo courtesy of Sfc. Keith Hummel. This post reminds of the many preconceived notions that impregnate societal views. I tend to keep my hair rather trim, typical of what might be required in the military. I cannot even count how many times it has been assumed that I must be in the armed forces. It’s equally awkward to be presumed something your not, even when it is such a noble stature being endowed upon you. A reminder that we all see life’s experiences through our own set of glasses, and that is okay. But, sometimes it does us good to take those glasses off and see life, situations, and experiences from a raw and unbiased perspective. Shern (in actuality it is Sharon). While it appears to be this young man’s outward appearance that reveals his status as a veteran, I can’t help but believe that his very demeanor also plays a part in the revelation. I also take great satisfaction in that there are insightful people who recognize the true quality of character in others. This entry was posted on June 1, 2015 by thenicethingaboutstrangers in Happiness, Inspiration, kindness, Travel and tagged affection, kindness, thank you, thank you for your service, thank you for your support.